« The Upside of Agribusiness? Prizes or Grants: Which is Better at Yielding Real Solutions? Yesterday, I attend Vanderbilt Law School and the Environmental Law Institute’s Annual Environmental Law and Policy Review Conference (ELPAR). The conference focused on three topic areas and while all were interesting in their own right, one raised a very valid question that I now would like to raise to you in the hope that you will supply your own thoughts. Professor Jonathan Adler of Case Western University’s School of Law (not Jonathan Alter for you political junkies and not that Jonathan Adler for you fasionistas) in a forthcoming paper will argue that one of the best ways for the federal government to find solutions to our energy needs and climate change is not through the traditional federal grant process, but rather by creating prize competitions. He makes a fascinating case for this line of reasoning. Oooh. Ahhh. I want shiny. 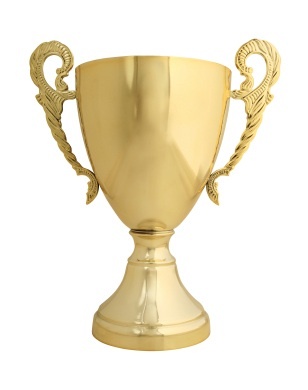 The overarching argument is that prize competitions produce proven winners. This may sound like a strong bashing of grants, but it’s not meant that way. The grant process has produced plenty of innovative ideas—Google being just one of those many ideas (no, I’m not lying. Larry Page was awarded an NSF Graduate Student Research Fellowship that brought forth the birth of Google.) This said, the grant process begins with a call for proposals to ideas to the table for consideration. The most promising submissions, after undergoing some intense scrutiny, receive grant money to carry out research that may or may not produce the intend result. That is the point, friends. We provide money in the hope that the proposal yields the desired outcome. Yet, at the end of the day, the idea is untested. Boiled down: the wonderful, glorious idea may fail. It pains me to bring this point up, and while it’s not entirely relevant as it was a loan, a point was raised about Solyndra, the infamous solar company that went bust after receiving a DOE loan guarantee. 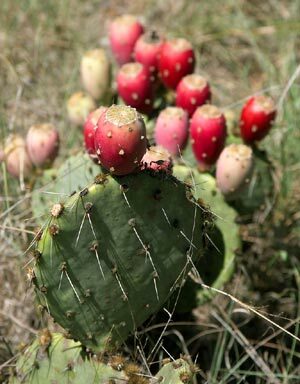 Had Solyndra instead competed as part of a larger pool for a prize, perhaps this prickly pear could have been pinned on our bad economy and not the government. Again, not a perfect parallel because loans are subject to a different set of scrutiny, but it’s still food for thought. Even Dan's been known to be a prickly pear from time to time. On this note, for those of you skeptical that government has your best intentions in mind/suspect that grants are a form of cronyism, prize structures can assuage some of your concerns by, again, awarding money to the idea that works the best in reality and not on paper. This bypasses favoritism and friendship between grant seeker and grant awarder. Prizes can also induce involvement from the private sector. This example is readily apparent in looking somewhat outside the climate box to our nation’s space agency, NASA. In this time of fiscal restraint, NASA has increasingly involved commercial companies in their projects and design competitions. Evidence abounds in just the press release section of their website. As for the world of energy and climate, since carbon does currently have a price sticker associated with it, privates have no real reason—other than good moral ethics and common sense, so perhaps economical is a better word than real—to fund solutions to carbon emissions. Another point is that prizes resemble an incentive process that has produce many of our best ideas through the protection it provides. This process is none other than our patent system. The first to file structure (a new change from the first to invent structure thanks to the America Invents Act passed by Congress and signed into law last year) rewards those who provide a good idea and also prove that it works. Timothy Brennan, a professor at the University of Maryland, Baltimore County (UMBC) and frequent contributor to Resources for the Future (RFF), in his comments on Adler’s paper provided additional strength to Adler’s argument. A prize structure, he argued, allows for a more flexible contest design where not just the winners are rewarded, but perhaps the second and third place designs also win a prize. Whatever the winning project may be, it has to meet a specified set of criteria. And then of course, unlike the patent system, the prize idea can become property of the U.S. government where it can be sold at a marginal cost instead of the maximum cost (as would likely be the case if it remained in a private individual or company’s hands, unless they weren’t seeking to maximize profits). While not necessarily countering his assertions, Brennan did point out the fact that those looking to prizes as a way to avoid centralized bureaucracy would be sorely mistaken to do so. The desired criteria and winners are decided still decided by the government. He also affirmed that the peer-review process is strong, and so his commentary wasn’t necessarily a knock on that process. Furthermore, none of this is to say prizes are the solution to finding solutions. There is also the thorn in every project’s design, regardless of how it’s brought about: bringing the project to commercial scale. But, perhaps that could be made a criteria point for determining a winner. As someone who recognizes the fiscal predicament enrapturing our country and many other governments the world over, I feel the need to conclude this list of arguments by noting the benefits of a prize structure in times of fiscal restraint. As I’ve said already, the winners are the ones that get funded. Sp we reduce payouts to projects that can’t quite make it across the finish line. If you’re feeling sorry for the losers, Tom Petty has some lyrics for ya. So how does this apply to the fine world of nutritious and delicious greens? The whole point was that in the world of energy and climate change, we have a very specific goal in mind with certain criteria that need to be met (keeping temperature rise to 2 degrees Celsius, minimizing seal level rise, reaching 100 miles per gallon of gas, you list name it). Instead of awarding grants, why not try to harness America’s competitive nature and create a prize competition? Of course, the competition has to be reasonable; sadly, no one is going to make greenhouse gases disappear tomorrow. 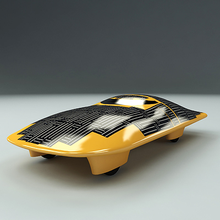 But, we could try to create (or revive) competitions to create solar-powered car designs, longer lasting batteries, or even more ambitious things like effective nuclear waste storage cases and better waste pool liners. Think of the possibilities…. You'd certainly be one of a kind in this ride. On that note, be sure to share in the comment section.